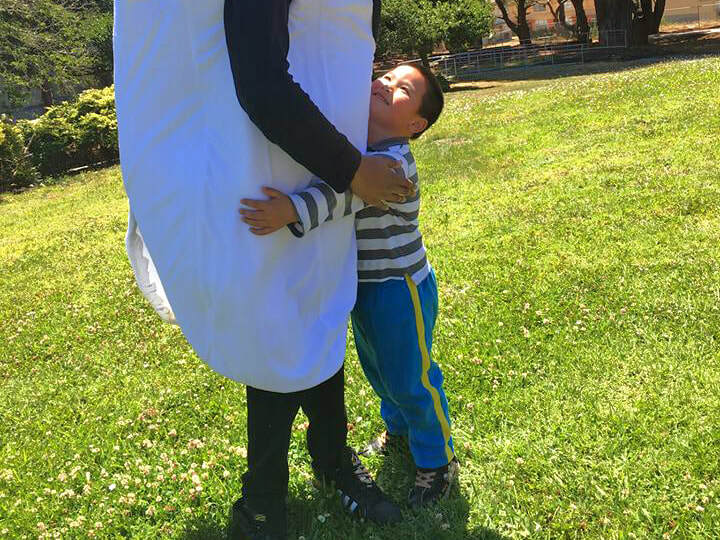 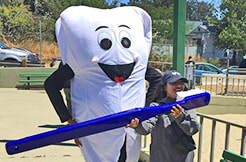 A Tooth Mascot and a giant toothbrush helped promote awareness that "Baby Teeth Do Matter." 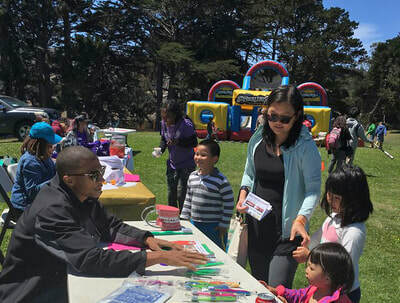 APA facilitates the District 10 CavityFree SF Oral Health Task Force and participated in the Herz Playground community health fair on August 4. 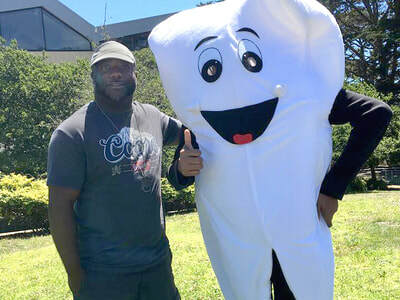 Our tooth mascot definitely attracted attention. We handed out oral health kits with brochures to families. 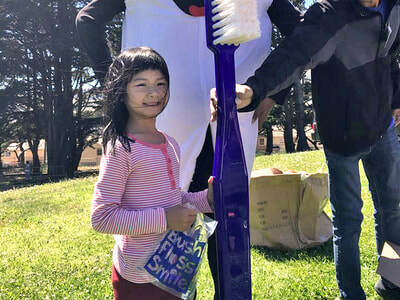 Tooth decay is largely preventable yet over 40% of children in San Francisco have experienced this chronic problem by the time they reach Kindergarten. Currently, there is an 50-60% caries prevalence in these neighborhoods, well above the Healthy People 2020 goal of 30%, and it is 2-3 times more prevalent in children of color. The task force’s goal is to eliminate this health disparity.